THE HEALTH FAIR THIS WEEKEND SPONSORED BY ADRIAN GARCIA! 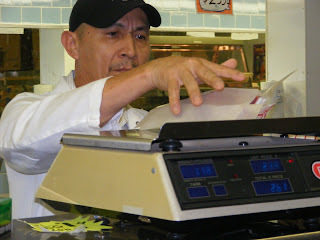 Posted in Uncategorized | Comments Off on THE HEALTH FAIR THIS WEEKEND SPONSORED BY ADRIAN GARCIA! within our community," stated Council Member Adrian Garcia. WHAT’S GOING ON AT LIFE NIGHTCLUB IN DOWNTOWN HOUSTON! 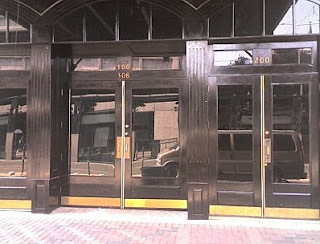 Posted in Uncategorized | Comments Off on WHAT’S GOING ON AT LIFE NIGHTCLUB IN DOWNTOWN HOUSTON! MAJOR DRAMA ON MAIN STREET! The Insite was in downtown Houston when I noticed a sign on the nightclub Life. 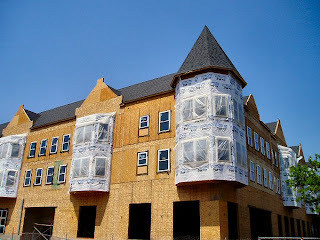 You’ve seen pictures of the once up and coming club here on the blog. But all of sudden a month ago the doors closed. No explanation after being open for about two months. But it was clear something was rotten in the cotton from signs posted on the front doors of the downtown spot. 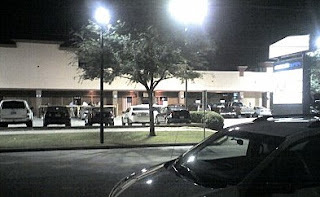 The signs read a burglary has been reported at this business to the Houston Police Department. Then the sign indicated the locks on the business have been changed. But this is where it gets really strange. A copy of a civil lawsuit was also posted on the door. It indicates the owner of the building has filed suit against the former management team of the club. Then there is some mention of furniture being taken or missing. It appears it was a business relationship that went very sour. Does anyone know what happened at Life? It was a cool place while it lasted. Such a shame! THE CITY OF HOUSTON TACKLES VALET PARKING! 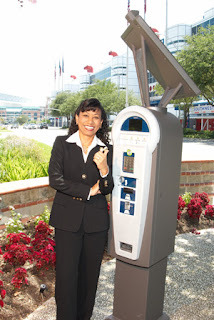 Posted in Uncategorized | Comments Off on THE CITY OF HOUSTON TACKLES VALET PARKING! WOULD YOU PAY A FEE TO PARK AT AN EMPTY BUILDING? About two weeks ago I was dropping off a thank you gift to a friend. She threw a birthday party for me earlier this month. I was in the midtown area and I parked at an unoccupied (above left) building. I was a block away and across the street from a restaurant that was being worked by a valet service. So, while parking at the desolate building I noticed the valet guy. He starts walking nearly two blocks to the area where I parked. I asked what he wanted. He said I would have to pay $5 dollars to park at an abandoned building nearly two blocks away from where he was positioned. 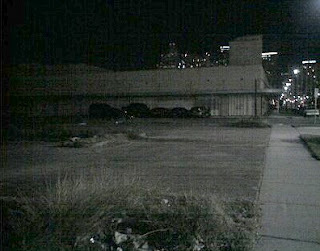 I told him there is no way on this earth I’m going to pay a valet for a parking space at an abandoned building where there is no resemblance of security or patrol. He said his manager had the rights to the parking at the unoccupied building. I told him that was suspect and I wasn’t going to pay him. He just stood there still looking hungry for the $5 bucks. He then gave me a card and told me to call his boss. I took him up on the offer. I called the number listed on the card and it was a non-working number. He then gives me another cell phone number. I get his manager on the phone who asked who I was and why I was calling. After a 30 second conversation the manager said I didn’t have to pay. The whole situation was suspect to me. Why would the public have to pay to park at an empty building with no security? It’s a reminder why Houston has begun a major citywide push to monitor and license valet parking services. A new ordinance goes into effect Thursday. It will require valet services to be licensed, insured and get their parking plans approve before they start charging the public for spaces they really shouldn’t have to pay for. I ran into a council member who valet workers tried to charge for parking in a zone they did not control. Needless to say, that council member didn’t pay. But back to that new ordinance. The owners of the valet companies will also be responsible for their employees actions. If something is stolen out of a vehicle by a worker then the owner is held liable. My hat goes off to Liliana Rambo (pictured), Joe Martin and Ted Bowen and the city of Houston’s parking commission. They tackled this issue and got results. Now, if they could only get price caps for all of these lots and valets with baller parking rates! INSITE EXCLUSIVE: MAYOR BILL WHITE SNAGS ANOTHER NATIONAL HONOR FOR BEING ONE OF THE COUNTRY’S BEST! 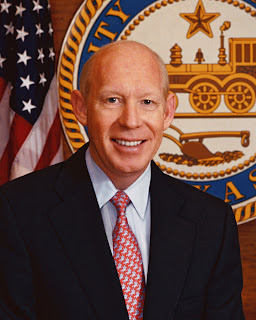 Posted in Uncategorized | Comments Off on INSITE EXCLUSIVE: MAYOR BILL WHITE SNAGS ANOTHER NATIONAL HONOR FOR BEING ONE OF THE COUNTRY’S BEST! THE AWARDS KEEP COMING FOR HOUSTON’S CEO! ment at the state and local level. and a stronger city pension system. SOMEONE EMAILED ME THIS – IT’S HILARIOUS! Posted in Uncategorized | Comments Off on SOMEONE EMAILED ME THIS – IT’S HILARIOUS! ONE LSU PLAYER FACES CHARGES WHILE ANOTHER IS CLEARED! 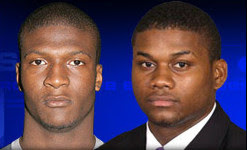 Posted in Uncategorized | Comments Off on ONE LSU PLAYER FACES CHARGES WHILE ANOTHER IS CLEARED! THE TIGERS WILL HAVE A QUARTERBACK THIS SATURDAY! Baton Rouge, La. police plan to file charges this afternoon against LSU football player Derrick Odom in connection with a fight he allegedly had last Friday’s at The Varsity nightclub near LSU in Baton Rouge, La. Sources say police will also announce that quarterback Ryan Perrilloux has been cleared of any criminal wrongdoing in connection with that fight. That could very well mean Perrilloux will be able to take the field Saturday against Alabama. A spokesman for LSU Athetics said he could not confirm or deny what was reported. FREE XRAY OF CANDY IN HOUSTON TONIGHT! Posted in Uncategorized | Comments Off on FREE XRAY OF CANDY IN HOUSTON TONIGHT! For parents of trick-or-treaters in northwest Houston, one area health center will provide peace of mind to parents concerned about contaminated candy. 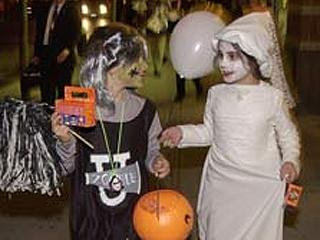 The Emergency Health Centre at Willowbrook will provide free X-ray screening of candy on Halloween night. The Centre is located on the 22,000 block of Tomball Parkway between Louetta and Spring Cypress roads. Young trick-or-treaters will also be rewarded with bags containing glow sticks, face paint, a miniature pumpkin, flashlight batteries, neighborhood maps and safety tips for trick-or-treating. I DON’T NEED NO STINKING REPORTER! Posted in Uncategorized | Comments Off on I DON’T NEED NO STINKING REPORTER! DAMON SALES DROPS BY THE INSITE! If you’ve been in Houston in the news business or on the news you’ve likely seen this face. He is Damon Sales. 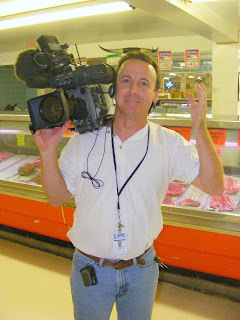 Damon is a photographer at KPRC-TV and is one of those photo-journalists who can do it all by himself. He doesn’t need no stinking reporter to get in his way. He has more than 20 years of experience in the television broadcasting industry and knows how it’s done. Damon has covered everything from colorful Louisiana politics to Ken Lay and Enron with The Insite. I finally convinced him to drop by and do a shout out to Insite readers. Damon says “whatz uppppp!” Hey Damon, thanks for dropping by The Insite! P.S. He’s an expert at Texas barbecue (he makes his own sauce from scratch) and I taught him what I know about crawfish! MELISSA NORIEGA TOOTS HER OWN HORN IN POLITICAL LETTER! Posted in Uncategorized | Comments Off on MELISSA NORIEGA TOOTS HER OWN HORN IN POLITICAL LETTER! HOW DO YOU THINK SHE’S DOING SO FAR? After being sworn into City Council on June 27th, Mayor Bill White assigned Melissa Noriega to the following committees. 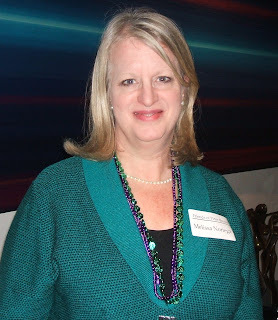 Melissa moved swiftly to make a positive impact on issues that affect Houstonians. FINALLY, SOMEONE ACTUALLY SAYS WHAT THEY FEEL! Posted in Uncategorized | Comments Off on FINALLY, SOMEONE ACTUALLY SAYS WHAT THEY FEEL! NOW WHY CAN’T EVERYONE BE TRUTHFUL AND SAY THEY DON’T WANT POOR PEOPLE MOVING INTO THEIR AREA? I was at city council on Tuesday when a long list of residents complained about an apartment development being built in their community. One after another, I heard the residents use their favorite excuse of traffic problems or school overcrowding. Finally, one man took to the podium and had the same standard lines you hear when middle class or rich people don’t want to take a chance on an apartment complex going into their community. Then a council member asked him for a few bullet points on the man’s concerns about the complex coming to his neighborhood. He actually said it. He opened his mouth and the words came out. It wasn’t traffic or congestion or flooding or schools. He said there weren’t enough police in their area to handle the problems they expect from these potential lower income residents. Can you believe it, he actually said it…Now why can’t everyone be truthful and say they don’t want poor people moving into their middle class neighborhoods. It would make for a great news report. Meanwhile, it caught me a bit off guard because even Mayor White later told a representative from the developer that he wanted to see written rules for tenants who violate the law or misbehave. I wonder if the Mayor asks for the same written rules at apartment complexes in River Oaks too! DON’T WE HAVE BIGGER CONCERNS IN THIS CITY! Posted in Uncategorized | Comments Off on DON’T WE HAVE BIGGER CONCERNS IN THIS CITY! LOOK AT ALL THE WORK THE CITY OF HOUSTON IS MAKING ME DO! 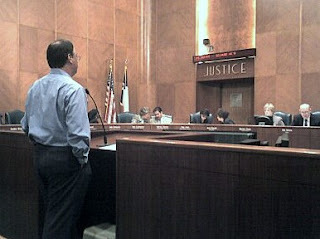 I won’t say too much on this issue but it bothered me while I was at city council Tuesday. There was a woman who came to public session to vent about a city related problem she had. I was getting all ready for a potential story. When I heard what she had to say I’m thinking what in the world. Why would this lady bring this problem to city hall? Aren’t there bigger issues in Houston to address.? So what was the problem? The woman was upset because garbage collectors no longer picked up her trash can from the side of her home. The city now collects the garbage can from the front of her home. The woman was livid and said now she has to ‘walk all the way’ to the front of her house to place her garbage can there to be picked up. Does she live in the Taj Mahal? 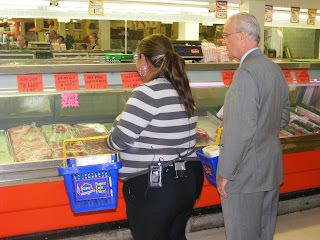 What in the world….I just couldn’t believe she thought this was a big enough issue to take to the council and Mayor. Do you think it is? PETER BROWN LIVING OFF $23 A DAY: DAY 2! 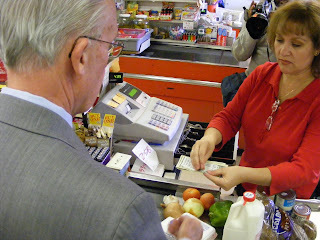 Posted in Uncategorized | Comments Off on PETER BROWN LIVING OFF $23 A DAY: DAY 2! BEEF STEW, POTATOES, AND SANDWICHES OFF THE SMALL SALARY! 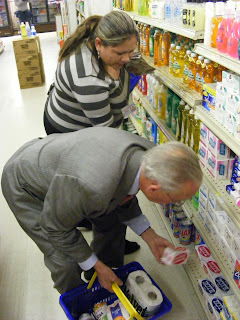 Houston city council member Peter Brown spent his second day living off of $23 dollars a day. It’s part of his experiment to show fellow council members and Mayor Bill White that some city workers are not earning a livable wage. 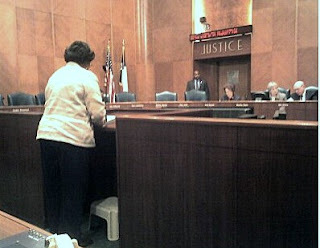 Houston city worker Belinda Rodriguez take home pay after taxes is $23 a day. On Tuesday Brown went shopping with the single mother of 3. She says it’s tough living on what many consider the poverty level. Brown wants the city to consider a larger increase for city workers. Currently, the city is considering a 2% increase for its workforce. 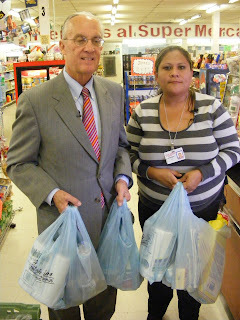 By the way, Brown purchased beef stew meat and potatoes for his dinner while Rodriguez settled on sandwiches to feed her family for the next couple of days!